I like to geek out on packaging. There’s some really inventive work out there and I collect pics when something really stands out, wether it’s a carrot shaped box for chocolate at Easter or a Lindt chocolate the size of a basketball. ( Side note: that damn Lindt got me good I tell ya. Wrapped like a GIANT Lindt with rattling chocolates inside I was ever so careful not to put it down hard or keep it anywhere warm before handing it over as a present….only to find…it wasn’t a giant chocolate but rather a plastic casing holding regular sized Lindt balls. Makes sense, but there I was like an umpa lumpa on his first day at work, walking around with this precious cargo trying not to drop it. Live and learn). Above are some pics of less than interesting items, however, there’s been some serious thought put into them. User interface for fish. And bread. And I love the result. There is a key question when designing anything really, ‘how is the user going to interact with it?’ Fish portions, like other products, come neatly stacked but wrapped in one sheet of film. 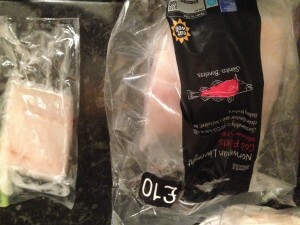 This was a great find: fish vacuumed sealed for individual portions in one larger bag. No need to worry about opening the bundle and preserving the lot for later. Maybe this has been around for some time, but in any case, it made me stop and notice. Today, the next best thing since sliced bread arrived (had to use that phrase). A half white, half wholemeal bag, with get this, openings at both ends. There I was, admiring bread in a bag. Now that’s a job well done. It’s such a simple solution too! 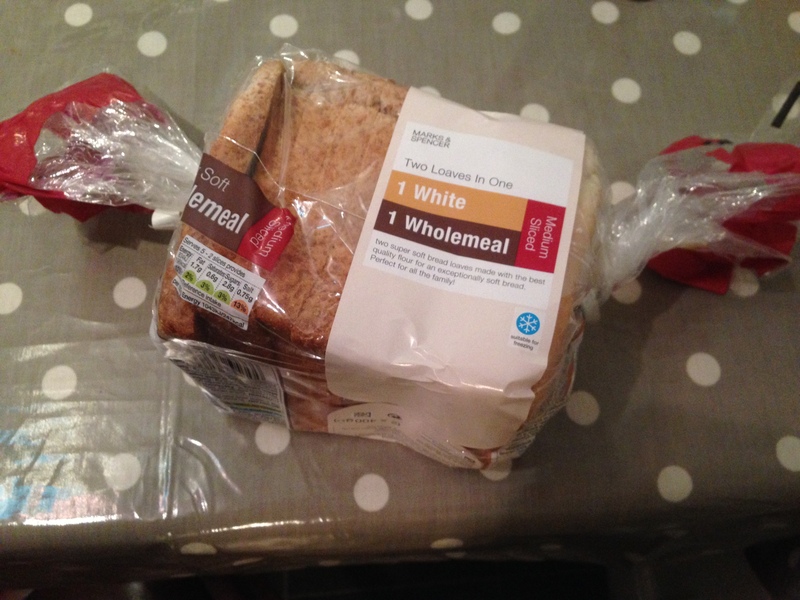 It’s win win, dissolving family conflicts over white or wholemeal and reducing the buying of two bags of bread that will eventually fight for the coveted spot on the top of my fridge. But then a second question arises. Why wasn’t this done before? Well, maybe some of the imperfections of these features stopped them in their tracks. The fish means bag after bag after bag. It’s not entirely Earth friendly. A double ended bread bag, well, lets just say my spin move technique to close a bag rivals a NASA centrifuge, so it’s possible my kitchen might get redecorated in 50 50. However, I think the pros outweigh the cons here. The bread especially, because someone took on something we almost daren’t re-invent and found another solution, possibly a better solution, and all with the goal of making it easier for me to use. 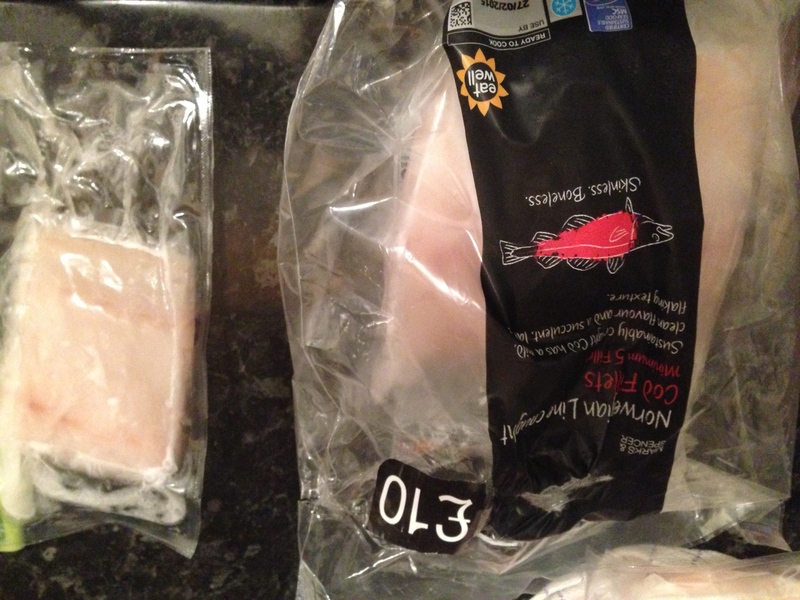 Looking forward to my next UX fish finger sandwich!